The inventor named for a plant patent application must be the person who has invented or discovered and asexually reproduced the new and distinct variety of plant for which a patent is sought. The inventor's oath or declaration, in addition to the averments required by § 1.63 or § 1.64, must state that the inventor has asexually reproduced the plant. Where the plant is a newly found plant, the inventor's oath or declaration must also state that it was found in a cultivated area. 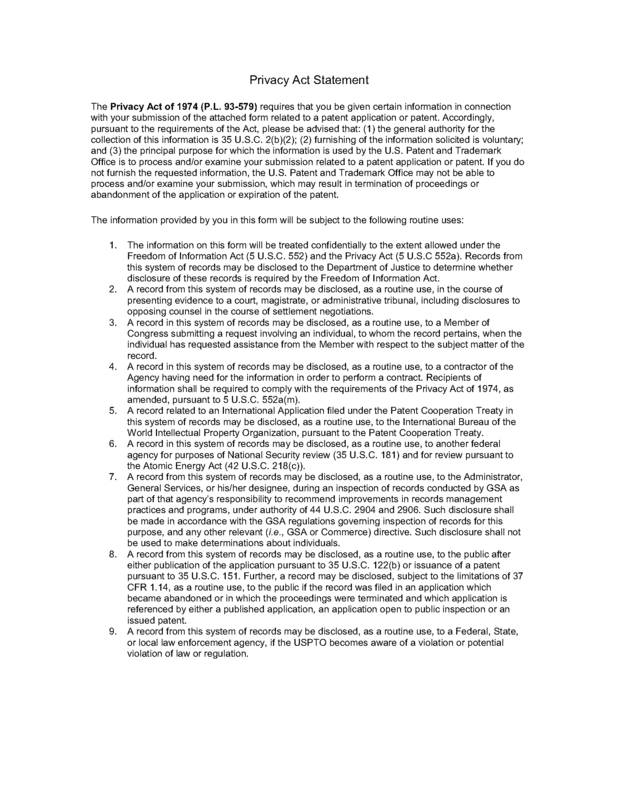 The inventor's oath or declaration, in addition to the averments required by 37 CFR 1.63 or 37 CFR 1.64, (or, for applications filed before September 16, 2012, pre-AIA 37 CFR 1.63 ) must state that the inventor has asexually reproduced the plant. Where the plant is a newly found plant, the inventor's oath or declaration must also state that it was found in a cultivated area. 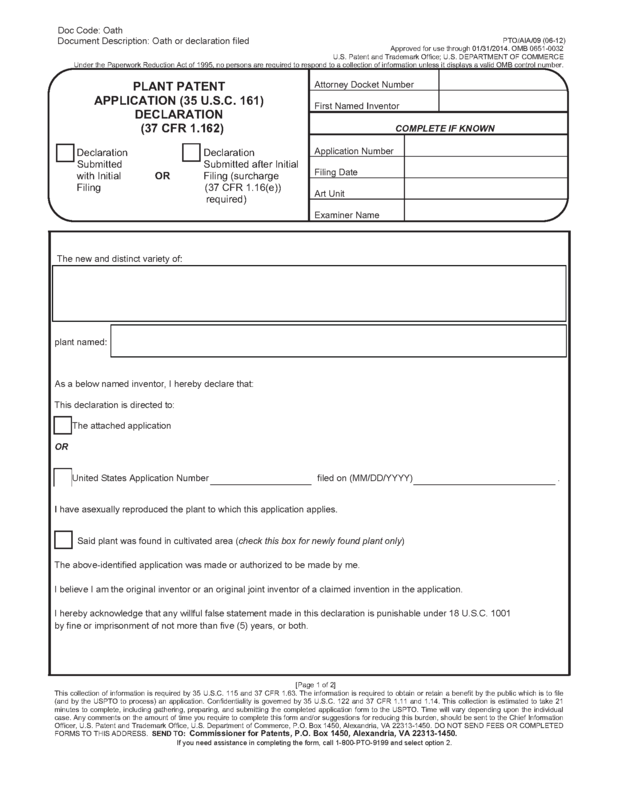 A Plant Patent Application (35 U.S.C. 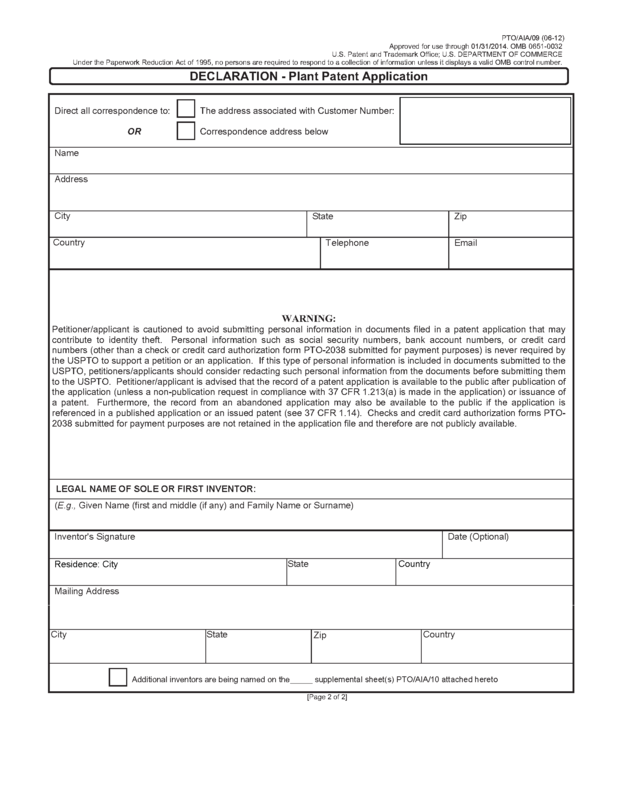 161 ) Declaration, Form PTO/AIA/09, may be used to submit a declaration in a plant application filed on or after September 16, 2012.